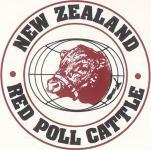 The 14th International Red Poll Congress, Australia. 21st October to 11th November 2014. 26 delegates from Jamaica, Canada, Britain, USA, Kenya and New Zealand joined the Australia delegates in Perth to begin the World Congress tour of Australia. After registrations, we all gather for dinner and reacquaint ourselves with breeders met at previous Congress tours and introduce ourselves to new participants. 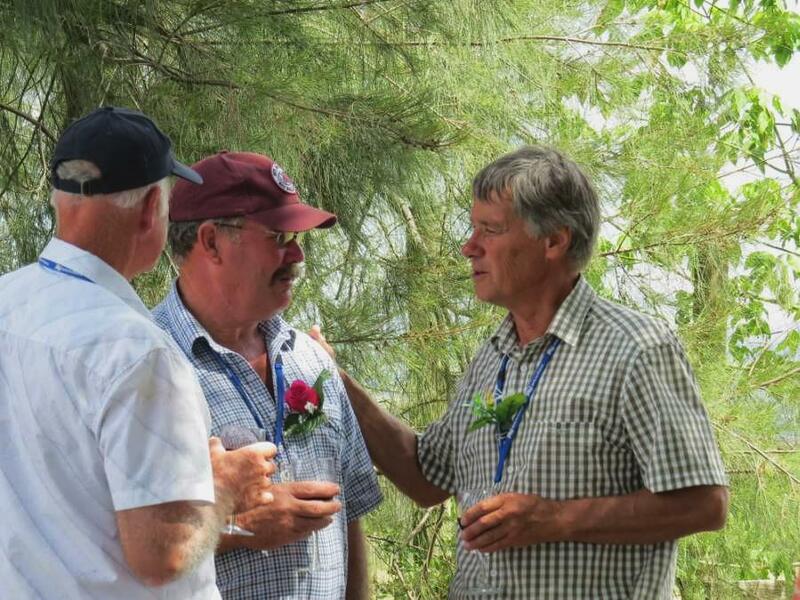 The friendly discussions, good-natured debates, jokes and general conviviality starts on the first evening and sets the tone for the whole tour. The next five days in Western Australia saw us visiting the Yongerellen, Le Topaz, Red Sands, Coranning and Aurora Red Poll studs, the Black Rock Angus stud, the Dardanup Heritage Park , the Tuart Forest, Margaret River, the Busselton jetty (longest jetty in the Southern hemisphere), a silk farm, limestone caves and the Brunswick A&P Show(the largest one day show in Australia). Our visit to the impressive Yongerellen stud, of Murray Williams, included a shearing demo, a wildflower walk, a Suffolk sheep display and lots of historical photos and books. Lunch and dinner was at the Wamenusking Tennis club where local artists displayed amazing artwork including bark pictures, straw art and patchwork. 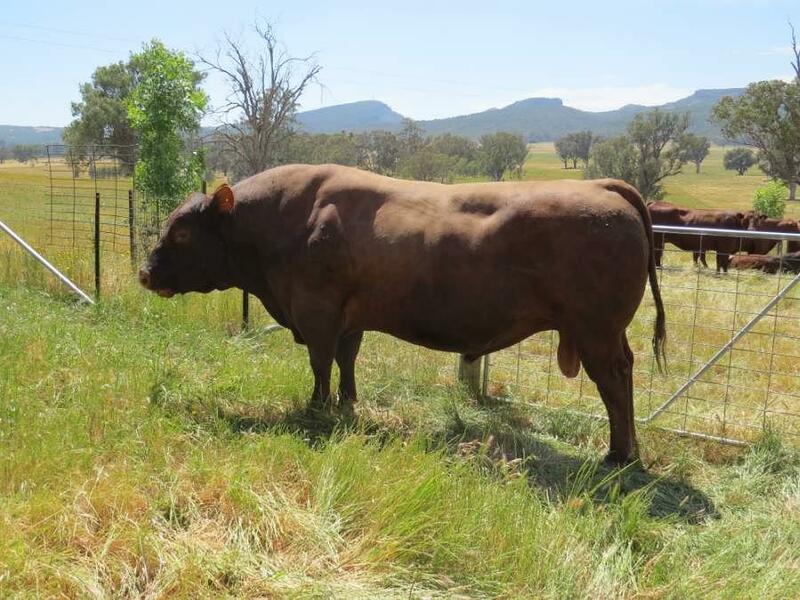 Murray and the other W.A breeders showed wonderful hospitality with excellent meals, thoroughly interesting visits and presented a high standard of cattle for our viewing. 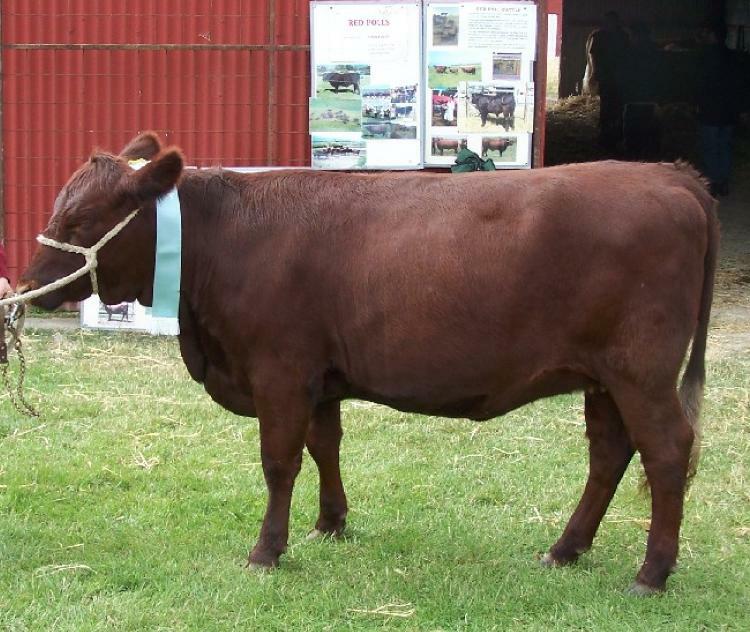 They are all keen exhibitors in the show ring and made an impressive sight in their red vests and caps, with well presented cattle at the Brunswick show. From Perth we flew to Adelaide(the driest, hottest city on the driest, hottest continent) to spend three days in South Australia visiting the Oakwood, Virangra, Maleer and Moyle Park studs and touring the Yorke peninsular, Clare Valley winegrowing area, seeing vast areas of cropping farms, mallee plains, salt lakes and wind farms and also enjoying the sights of Adelaide, a lovely city. 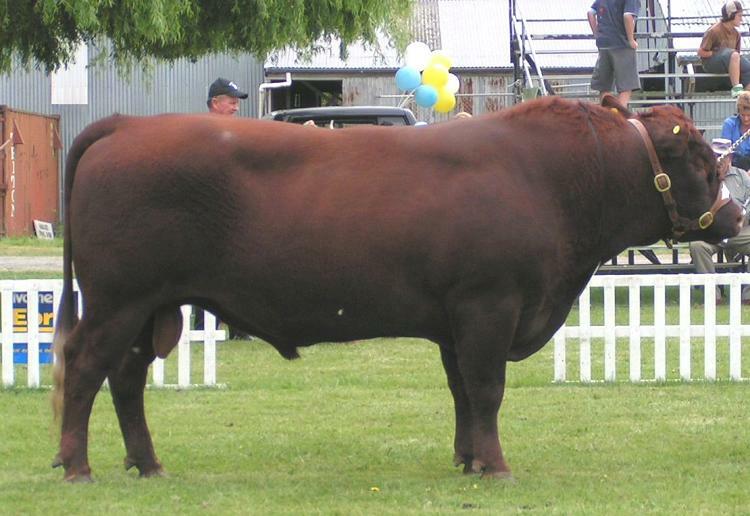 The Oakwood Stud (Alan and Marilyn, Peter and Kristen Wilson) are one of the older (est 1947) and larger herds or Red Polls in Australia and win many awards at the Southern Grassfed Carcase Competition. 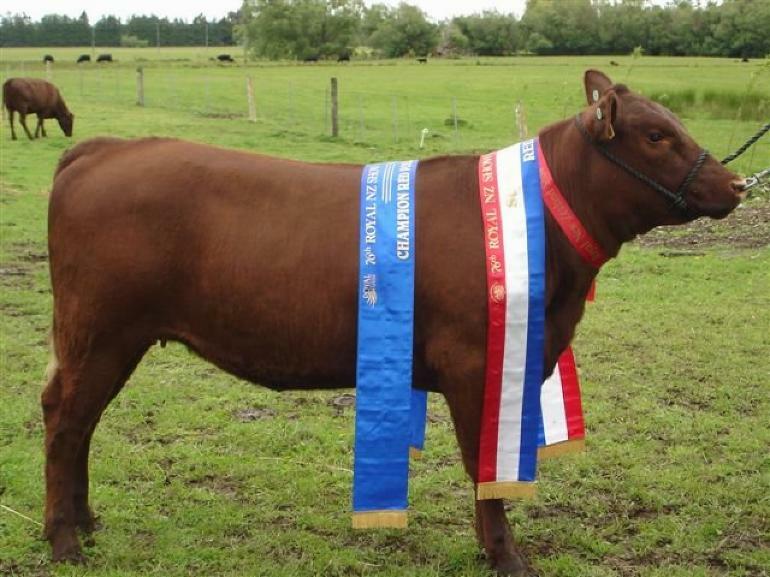 In 2013, three of the top seven scoring carcasses were Red Polls from Oakwoood -(there were over 200 entries). From Adelaide we flew to Melbourne. 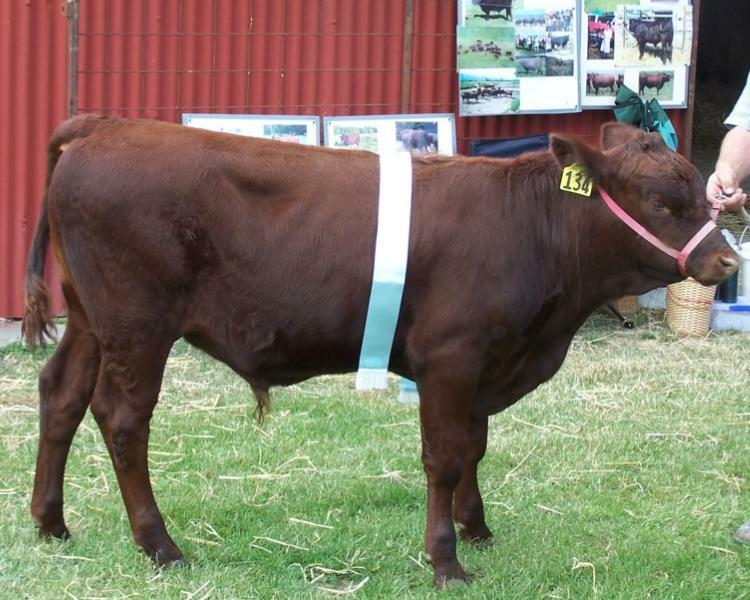 We visited the Ketlang Stud in Gippsland and Lardner Park where Victoria’s largest agricultural event (Feilddays) is held annually. We visited Phillip Island to view the Little Penguins. 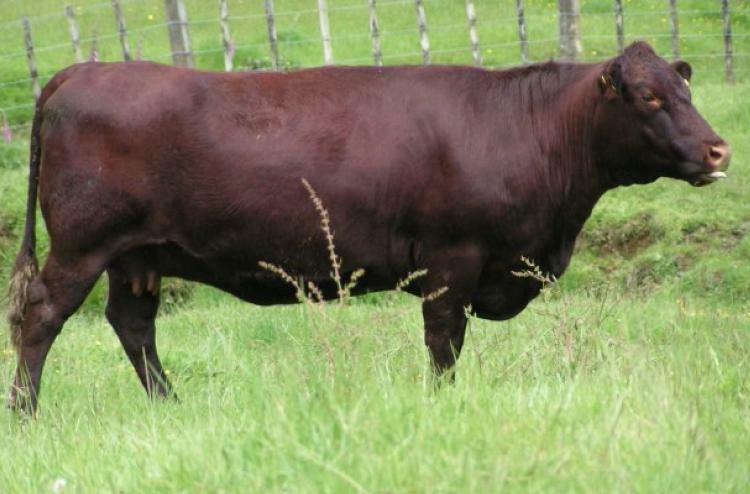 On route to Ballarat we viewed the Koallah Park, Turanga and Woodburn Red poll Studs. 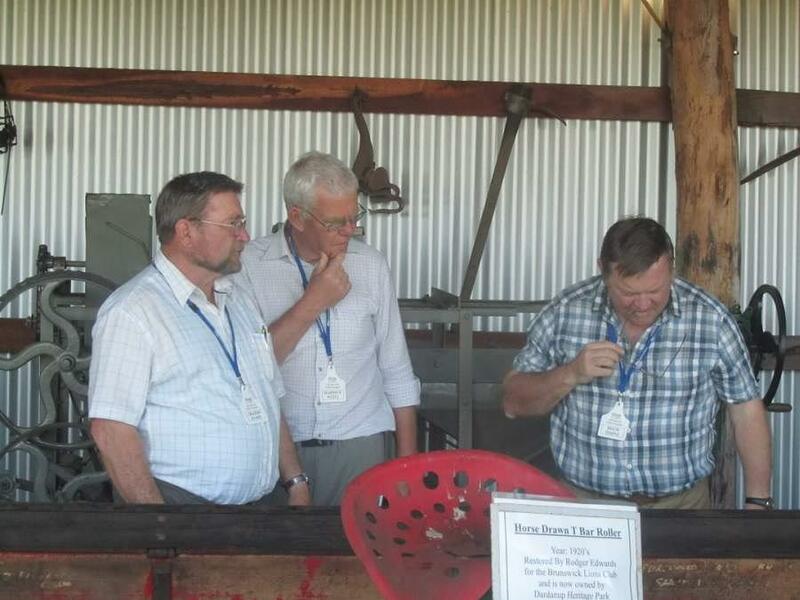 “Blood on the Southern Cross” – a show in Ballarat about the history of goldmining is well worth viewing. 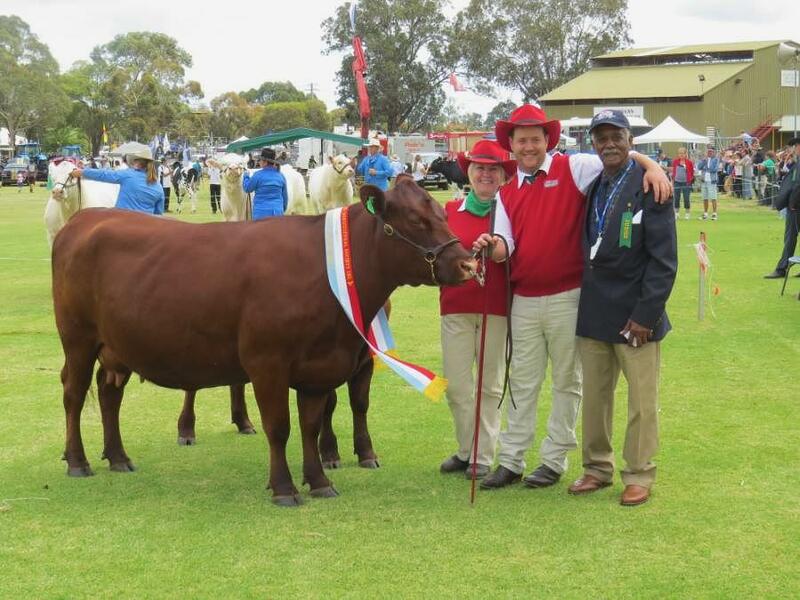 Before leaving Victoria we spent time at the Whittlesea show where the Red Cactus, Lynbarry, Redward and Sophronites Stud were displaying their beautiful cattle. 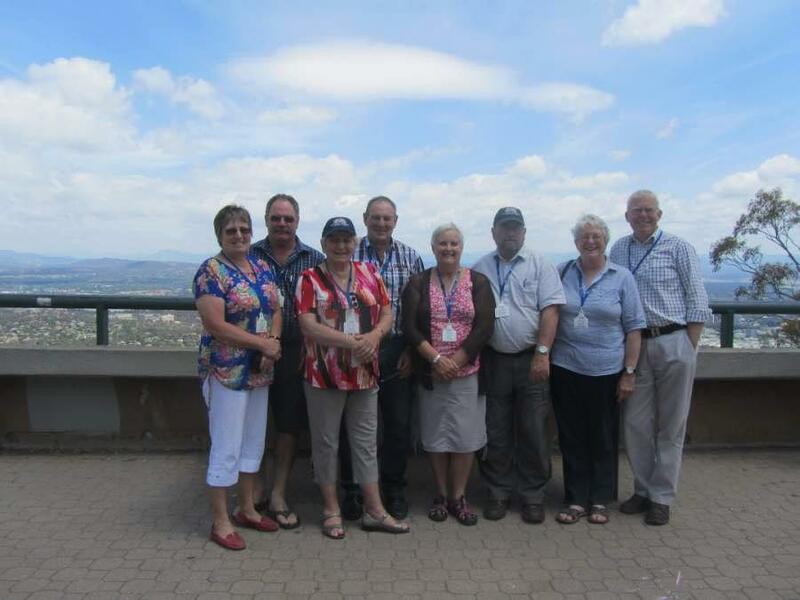 Albury was where, on Monday 3rd November, the Conference, delegates meeting and conference dinner was held. The next day, being Melbourne Cup day, a sweepstake was held during a leisurely thoroughly enjoyable visit to the Eurimbla Stud of Ian and Jill Coghlan at Gerogery. 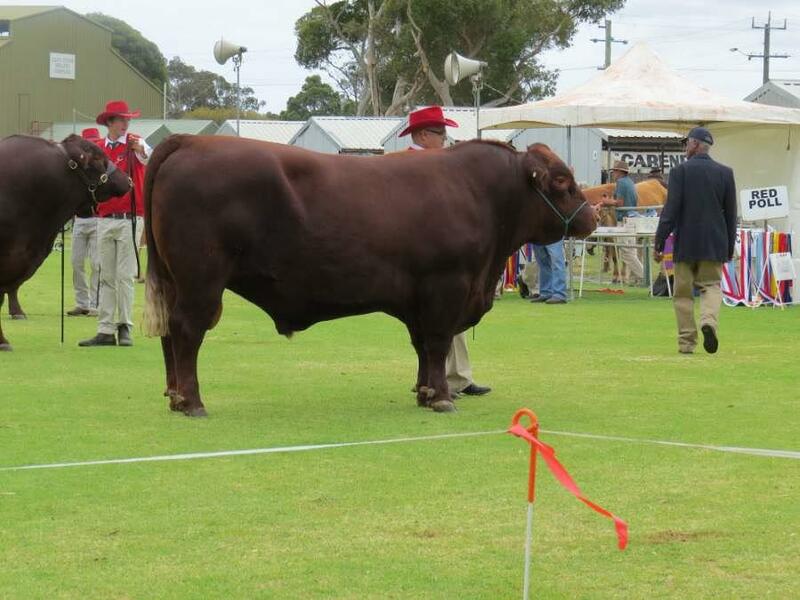 Eurimbla is another of the larger studs who regularly achieve great success in Australia National Field Days Steer Competition. A long and interesting bus trip the next day took us to Canberra via the Alpine Way. Two nights in Canberra gave us time to visit the Australian War Memorial, Parliament House, Black Mountain Lookout and other points of interest. A visit to the Western Plains Zoo was a welcome break on our way to Dubbo. The Southern Hemisphere’s largest shearing shed at Windy Station on the way to Tamworth was impressive as was a visit to the Omega 3 Stud. From Tamworth we entered the New England Tablelands and saw beautiful, green country – more like New Zealand. At 1000+ metres above sea level, a reliable rainfall and more temperate climate, this is good sheep and beef country. 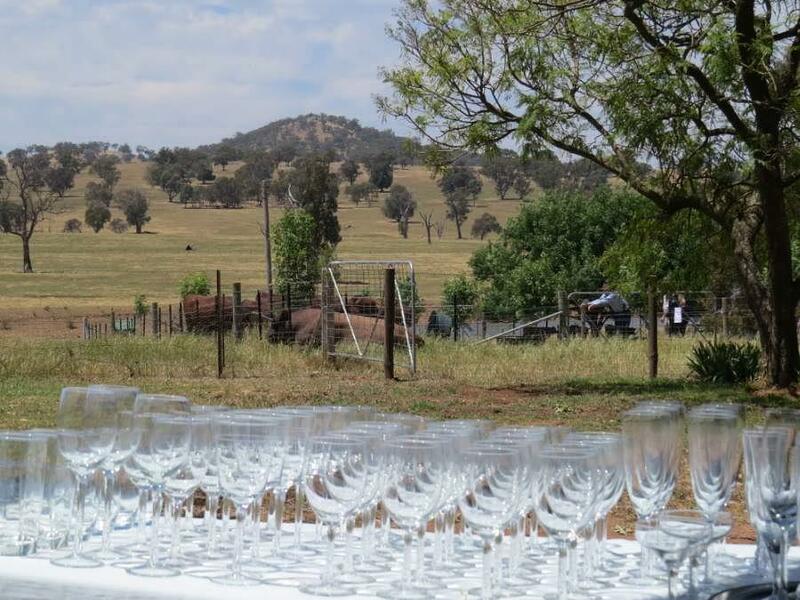 At the Glen Innes Showground we were treated to a generous, delicious lunch provided by the local ladies, before seeing cattle from the Kookabookra, Glenleigh and Lagoona studs. 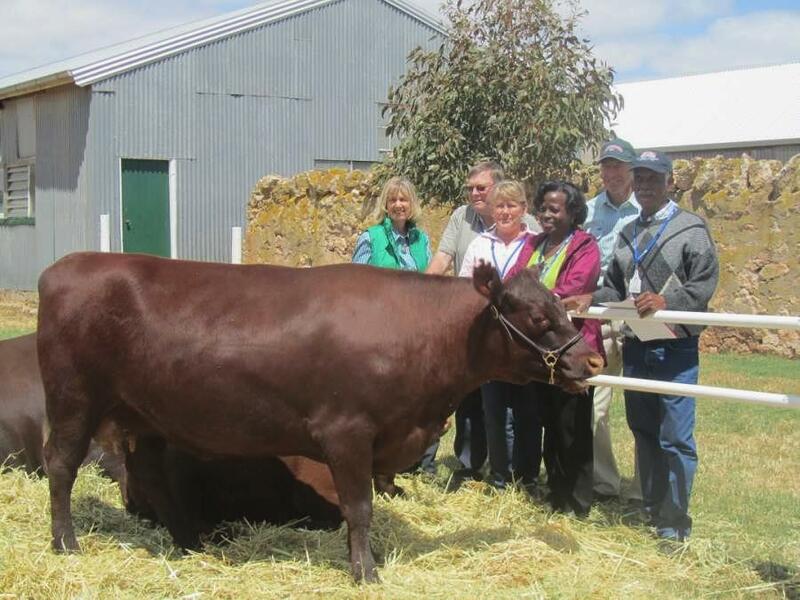 It was a privilege to see young members, who take part in the annual Red Poll Youth Camp, take part in a judging competition for our benefit. 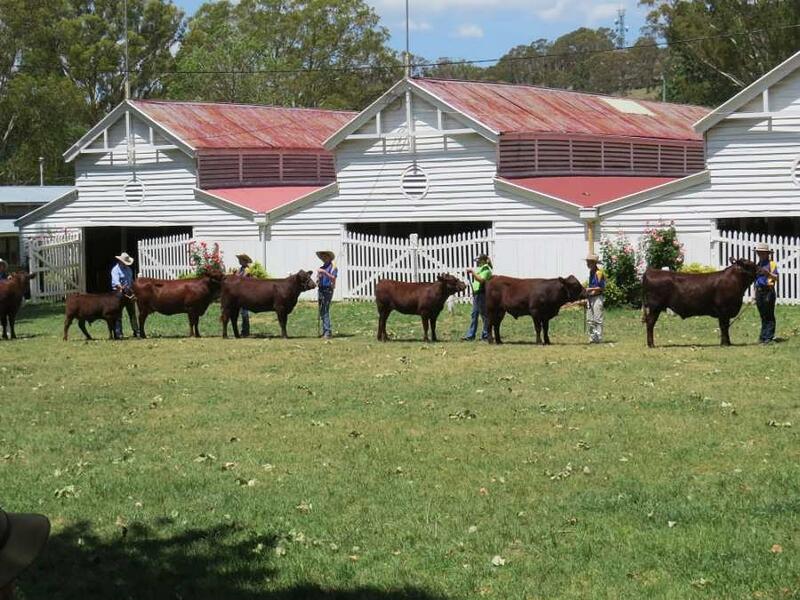 These young breeders range from 7 to 18 years of age and gain great stock skills, self-confidence and life skills at these well organized camps run by Rachel Hancock and Tim Light. Our final day started with a visit to the Tanamerah Stud, where we also had a hearty breakfast in a nearby woolshed, before a long trip down to the heat and humidity of the Gold Coast. 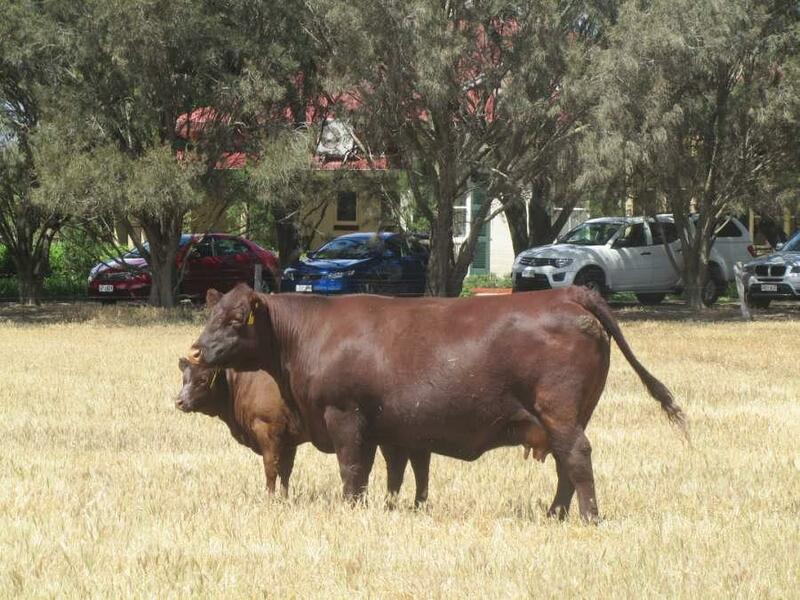 On the way we visited a dairy factory at Casino and an interesting Senepol herd. Dinner at the Gold Coast and breakfast the next morning was time to make those sad farewells. 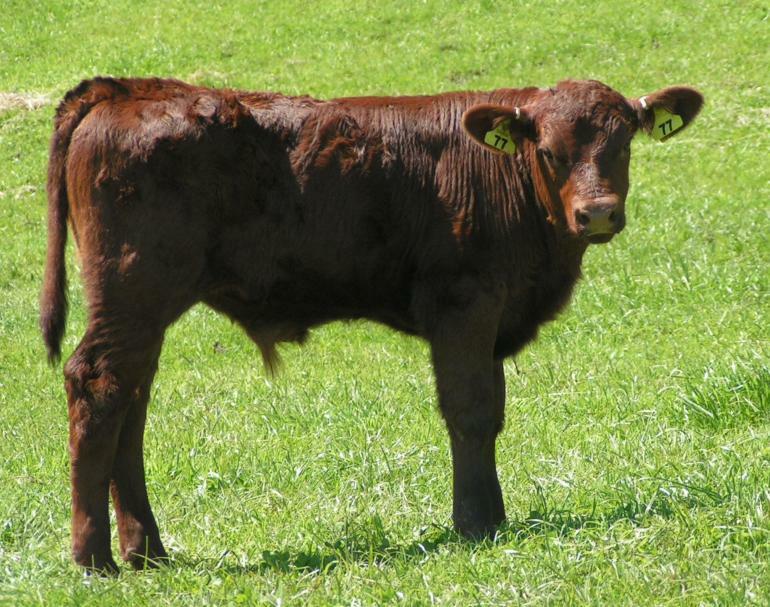 These tours, held every 3 years in a different country, are a wonderful way to experience, not just Red Poll studs, but many interesting sights, cultures and people. New friendships are made and old one’s consolidated. Many thanks must go to the organizing committee for a well organized tour, especially Jill Bockman who was that amazing “background” person who calmly and capably held things together and communicated with the tour guide, Chris Forde, from Sunlovers Tours who also played a large part in making our experience so stress-free and enjoyable.